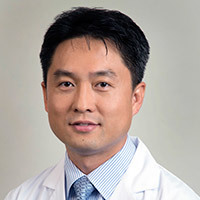 Joshua Hyong-Jin Cho, MD, PhD, MSc, FAPA, is an Associate Professor in the Department of Psychiatry and Biobehavioral Sciences at UCLA and a board-certified psychiatrist. Dr. Cho's research has focused on the role of inflammation in depression, fatigue, and sleep disturbance, three constructs often collectively named as 'sickness behavior.' He currently conducts epidemiological and translational studies pursuing clinical application of inflammation-related approaches. He obtained his medical degree at the University of Sao Paulo Medical School, and completed his psychiatry residency first at the University of Sao Paulo and later at UCLA. He obtained a master's degree in epidemiology at the London School of Hygiene & Tropical Medicine, and completed a PhD program at the Institute of Psychiatry, King’s College London. He also trained as a postdoctoral fellow at the Cousins Center for Psychoneuroimmunology at UCLA. He is the recipient of the NIH R21 Exploratory/Developmental Research Grant Award, the NIH K23 Career Development Award, the UCLA CTSI KL2 Translational Science Award, the NARSAD Young Investigator Grant, and several other awards from institutions such as National Institutes of Health (NIH), American Psychiatric Association, Southern Psychiatric Association, American Psychosomatic Society, Korean Neuro-Psychiatric Association, Friends of the Semel Institute, and Claude D. Pepper Older Americans Independence Center. His prolific scientific work has been published in prestigious journals including American Journal of Psychiatry, Molecular Psychiatry, Biological Psychiatry, and British Journal of Psychiatry.